When the silencing of debate about free speech follows from the spirit of Holocaust commemoration, then something has gone wrong. Memorial to the Murdered Jews of Europe, Berlin. Wikimedia/Alphamouse. Creative commons. ‘I’d rather not think about how horrible Germany would be’, exclaimed Stephan J. Kramer, General Secretary of Germany’s Central Council of Jews, ‘if Holocaust denial were lawful’. What else could he say? The Holocaust had almost extinguished Germany’s Jewish community. Numbers have revived since the fall of the Berlin Wall, but remain tiny. To be clear, German law provides iron-clad guarantees for free speech. For decades, the range and quality of the country’s print and broadcast media have been second to none, noticeably superior in breadth and depth to those of English-speaking nations. Notwithstanding the bogus scientific façade, however, Holocaust denial is unequivocally hate speech, as research has repeatedly shown. For most of the population, the scale and brutality of the Shoah have created a moral absolute. Nothing that would appear to minimise its gravity can be ethical. Many Germans believe that their law must reflect that ethics. For them, no moral value, not even the one most distinctive of a democratic sphere – free speech – can trump the nation’s duty to honour both the dead and the survivors. In 2008, Dr. Wolfgang Hoffmann-Riem, retiring from the Constitutional Court, nevertheless voiced his reservations about anti-negationist bans. Kramer then fired back. ‘It is irresponsible for a legal authority to speak so thoughtlessly’. Hoffmann-Riem is hardly famous as a political extremist. Any political affiliations traceable to him appear to be of a moderate centre-left. His reputation as guardian of civil liberties, on one of the most respected courts in the western world, remains untainted. Whatever personal faults he may harbour as an individual or as a judge, careless speech scarcely counts among them. What Hoffmann-Riem doubted was whether the bans serve their purpose, the same purpose Kramer pursues, namely, to safeguard the memory of millions of innocent dead. But Germany ceased long ago to be an emerging democracy. For many years now, The Economist’s annual Democracy Index has placed Europe’s dominant power among the world leaders, joined by societies like Norway and Canada – far in front of the United States, and also ahead of France and Britain. But don’t those countries also ban certain forms of hate speech? Yes (aside from the US). Even within the top-ranked democracies, however, we hear doubts about whether banning speech is right in principle. Some have also asked, as a practical matter, whether bans end up doing more harm than good. Those concerns are not voiced by fanatics or by people indifferent to the plight of the historically repressed. A common argument in defence of bans is that democracies are not immune from the excesses of hate speech. The Weimar republic, on that view, shows how hate speech in today’s democracy can snowball into tomorrow’s genocide. The problem with that claim is its ‘one size fits all’ assumption. Not all democracies are alike. Risks associated with a highly flawed state cannot so casually be attributed to all democracies across the board. Weimar was scarcely more than an on-paper democracy, boasting none of the historical, institutional or cultural supports so conspicuous among the Economist’s top ten or fifteen contenders. In a word, the familiar cry of ‘Never Again’ meant something very different in 1946 than it means in 2016. The law must start to reflect that change. The Nazi regime represented absolute evil. It is by no means obvious, however, what the ‘opposite’ of that regime should look like. One evil of the Third Reich was indeed hate speech, from which we might deduce the need for its opposite – the need for bans. An equal evil, however, was suppression of free speech, of the type that might have countered Nazi excesses. From that evil we can just as plausibly deduce a need for the abolition of censorship. Neither view is self-evident. Therefore neither is horrible, silly, nor worthy simply to be derided. Yet that is what Kramer did by chastising Hoffmann-Riem in such haughtily dismissive terms. Kramer did not simply condemn either the Holocaust or its denial – horrors which we must indeed decry. He instead took a very worrying step further. He ended up condemning a proposal made by an experienced, conscientious jurist concerning the best response of law and of government. When that abrupt ‘Shut your mouth!’ follows from the spirit of Holocaust commemoration, then something has gone wrong. I certainly share Kramer’s raw emotion. And I admire the Council’s longstanding and constructive contributions to European cultural life. But nothing could make the Jewish community look worse. And nothing renders such questionable homage to the Holocaust’s victims. If we are to honour both the dead and the survivors, we are inevitably forced to talk about their experience in collective terms. There is something worrying, however, about the assumption that any one policy could ever speak for all the victims. Yes, some of those who perished, if we could revive them today, would surely and understandably endorse anti-negationist bans. But it would be ludicrous, even insulting, to suggest that all of them would do so – or indeed that all Jews should take the same view on any complex moral question. The great German Jewish tradition from Moses Mendelssohn to Hannah Arendt wholly collapses if does not represent open, frank, and intelligent discussion even of the most painful ethical dilemmas. 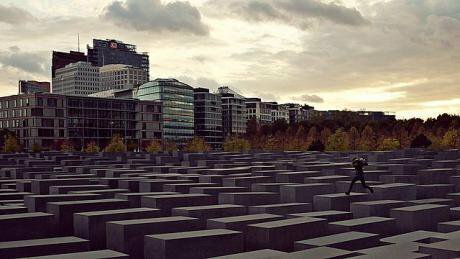 The German Council of Jews is right to keep historical memory alive and informed. Hoffmann-Riem, however, is also right to ask whether speech bans do indeed further that effort. Europeans have not yet learned to have that debate. Germans, most of all, need to have it.